In Columbia, there are many activities to entertain the entire family. 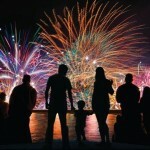 Check out the fireworks, bubble run any of the many festivals. June 29 – Showtime Carousel: “Cinderella” at the Crane Creek Gymnasium. This performance is put on by the Columbia Marionette Theatre and will surely entertain the children, if not the adults. For more information call (803) 741-7272 ext. 141 or 143, or visit http://richlandcountyrecreation.com/showtime-carousel/. June 29 – “Matilda” at the Nickelodeon Theatre. This PG movie, about an exceptional girl and her family and life challenges, will provide you and the kids an afternoon of entertainment. For more information call (803) 254-8234 or visit https://www.facebook.com/events/1545324315774240. June 29 – July 1 – “Dave Robbins: The Pace of Nature” at the Tapps Center for the Arts. This Columbia native has used his imagined and observed horticultural compositions that, in a utopian environment, can get the visitor to slow down and enjoy the natural surroundings. For more information call (803) 988-0013 or visit http://www.tappsartscenter.com/. June 30 – “Magic Hour II” at the Nickelodeon Theatre. This will be an evening with much original variety and entertainment, from short theatre pieces to music videos, mixed with music, art, and more. For more information call (803) 254-8234 or visit http://nickelodeon.org/events/magic-hour-2/. July 1 – Pool Party, part of the Prime Time in the Parks program, at the Greenview Pool. As part of this teen late night program, Greeview, Hyatt, and Lorick Parks have joined together to put this fun event on for the kids. For more information call (803) 254-3100 or visit http://columbiasc.net/news/061220161828-prime-time-in-the-parks. July 1 – 30 – “Green Days American Idiot” at the Trustus Theatre. Based on Green Day’s Grammy award winning album “American Idiot”, this rendition of the Tony Award winning Broadway musical will be taken where it has never gone before! For more information call (803) 254-9732 or visit https://trustus.org/event/green-days-american-idiot/. July 2 – “Jordan River and the Peach State Quartet” at the Gospel Singing Center on Martin Smith Road in Gilbert. Enjoy an evening of Gospel music, free refreshment, and good fellowship. For more information call (803) 719-1289 or visit http://www.midgsc.com/concerts. July 2 – 30 – “Peter Pans Space Adventure” at the Columbia Marionette Theater. Travel with Peter Pan to a galaxy far, far away, visit an alien planet, save the Princess Nebula, and confront the despicable Admiral Claw. For more information (803) 252-7366 or visit http://cmtpuppet.org/shows/peter-pan-the-space-adventure/. July 3 – 4 – “True Grit” at the Nickelodeon Theatre. This classic western with the best western actor of all time, John Wayne, will provide an certain evening of good entertainment. For more information call (803) 254-8234 or visit http://nickelodeon.org/films/true-grit/. July 6 – “Hook” at the Nickelodeon Theater. This classic film, starring Dustin Hoffman, Robin Williams, and Julia Roberts will provide you and the kids an afternoon of fun entertainment. For more information call (803) 2254-8234 or visit http://nickelodeon.org/films/hook/. July 6 – Showtime Carousel: “Sarah Dippity’s Comedy/Magic/Ventriloquist Show” at the Crane Creek Gymnasium. This show will provide you and your children with laughter, amazement, and fun. For more information call (803) 741-7272 ext. 141 or 143, or visit http://richlandcountyrecreation.com/showtime-carousel/. July 6 – August 10 – Tribal Fusion Belly Dancing at Tapp’s Center for the Arts. Learn about the areas belly dancing community and learn some key movements, learn new choreography, and create your own dances. For more information call (803) 988-0013 or visit http://www.tappsartscenter.com/event/tribal-fusion-belly-dancing/. July 8 – CrownBEAT at Riverbluff High School in Lexington. This event will feature several of the Drum Corps top performance ensembles from across the Country. For more information visit https://get.crowntickets.com/eventperformances.asp?evt=553. July 8 – Twilight in the Gardens :“Kung Fu Panda” at Riverbanks Zoo and Gardens. End your evening with the Splash Zone, and then curl up on a blanket for a movie in the Gardens Amphitheatre. For more information call (803) 799-8717 or visit https://www.riverbanks.org/events/twilight-in-the-garden.shtml. July 8 – “The Smurfs” with the Summer Movie Series at Finlay Park. Spend you Friday unwinding in the park under the stars with your family. For more information call (803) 254-3100 or visit http://www.columbiasc.net/parks-recreation/programs-activities/special-events. July 9 – Mixed Media Jewelry Workshop at the Columbia Arts Center. Use a variety of media, including polymer clay and beads, to make your own jewelry. For more information call (803) 545-3093 or visit http://www.columbiasc.net/depts/parks-recreation/july_2016_workshops.pdf. July 9 – 10 – Valhalla Con at the Columbia Metropolitan Convention Center. This Viking themed, multi-genre event will include artists, gaming, dealers, cosplay contests, a formal dance, and more. For more information call (803) 218-8896 or visit http://www.valhallaconsc.com/. July 9 – 10 – Repticon at the Jamil Shrine Temple. For all your herpetologists out there, the event has again returned for you to search for that special herp you’ve been wanting. For more information call (803) 814-5018 or visit http://www.repticon.com/columbia.html. July 10 – Harbison Trail Run at the Harbison State Forest. Participants can choose from a half marathon or a 5K that will take you along the trails of this beautiful State Forest. For more information call (803) 896-8890 or visit http://www.marathonmajic.com/XterraTrailRunCol-Harbison.html. July 10 – 11 – “High Noon” at the Nickelodeon Theater. This 1952 Western classic, starring Gary Cooper, will provide you with that energizing suspense as to whether the bandits will kill the Sheriff. For more information call (803) 254-8234 or visit http://nickelodeon.org/films/high-noon/. July 11 – 15 – High School Horror Film Camp at the Nick at the Nickelodeon Theater. If your teenager (13 – 16 years old) is an aspiring auteur, this film and media camp may just be for them, providing them with the opportunity to script, shoot and edit a thriller that will then be presented to the public. For more information call (803) 254-8234 or visit http://nickelodeon.org/events/summer-camps-at-the-nick/. July 14 – Moonlight Cemetery and Secrets from the Grave Tours at the Elmwood Cemetery. Start the night before dark to discuss the different symbols located on the graves, and then grab your flashlight as you learn about the various individuals buried in the cemetery from the 19th and 20th Centuries. For more information call (803) 252-1770 ext. 23 or visit http://www.historiccolumbia.org/events/moonlight-cemetery-tours?date=07%2F14%2F2016. July 15 – Badges and Parks Basketball Alliance Game and Skills Competition at Hyatt Park. Local teenagers will play against local police officers so come out and see who proves to bet the better basketball players! For more information call (803) 545-3100 or visit www.columbiasc.net. July 15 – “Shaun the Sheep” part of the Summer Movie Series at Finlay Park. Bring the family out and end your week with a movie under the stars in the areas favorite Park. For more information call (803) 254-3100 or visit http://www.columbiasc.net/parks-recreation/programs-activities/special-events. July 15 – Showcase on the Runway in the Grand Hall of the 701 Contemporary Gallery. Have a cocktail while enjoying live artistry and fashion by some amazing designers, along with a line of musical performances. For more information send an email to limitlessdreams12@gmail.com. July 16 – Bubble Run at Saluda Shoals Park. Run, walk, dance, or play along a 3 mile stretch of tremendous fun, with waves starting every 3-5 minutes, and then at every kilometer you will run through a foam bog that will color you from head to toe. 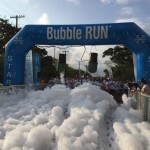 For more information call (803) 772-1228 or visit http://www.bubblerun.com/upcoming-locations/columbia-sc/. July 16 – High School Horror Camp Film at the Nickelodeon Theater. The film created by the teenagers at camp will present you with their chilling creation. For more information call (803) 254-8234 or visit http://nickelodeon.org/events/summer-camps-at-the-nick/. July 16 – Palmetto Tasty Tomato Festival at City Roots Urban Farm in the Rosewood area of Columbia. Enjoy an heirloom tomato tasting, two stages of live music, local food, a craft beer garden, and local restaurants presenting tomato themed items. For more information visit http://tastytomatofestival.com/. July 16 – Brunch and Munch Tour in the Vista area. Two Gals and a Fork Food Tours will take you on a 2.5 hour tour through the Vista sharing Columbia history while you savor and experience foods from 5 of the top restaurants in the Vista. For more information call (803) 360-0578, (803) 260-7992 or purchase tickets at http://www.brownpapertickets.com/event/2517408?ref=349591. July 16 – “Terrance Young” in the Summer Concert Series at Finlay Park. Enjoy an evening of Jazz music under the stars! For more information call (803) 254-3100 or visit http://columbiasc.net/press-releases/052320161415-free-summer-concert-series-returns-to-finlay-park-june-4. July 17 – “Once Upon a Time in the West” at the Nickelodeon Theatre. This classic western, starring Henry Fonda and Charles Bronson, will take you back in time, to when the railroads were being laid and the boomtowns began popping up all in search of new life in a new land filled with promises. For more information call (803) 254-8234 or visit http://nickelodeon.org/films/once-upon-a-time-in-the-west/. July 18 – Smokin’ and Jazz Farm to Table Dinner and Show at the Music Farm. The Executive Chefs from Rosso Trattoria and Bourbon will prepare a family style 4-course farm to table meal with featuring wine pairings, and a complimentary cocktail, while the Mark Rapp Jazz Band provide your entertainment. For more information visit https://www.eventbrite.com/e/smoke-n-jazz-dinner-and-a-show-with-special-guest-chef-rhett-elliot-from-warmouth-tickets-19589797612?utm_medium=867088. July 18 – “Hillsong United with Lauren Daigle” at the Colonial Life Arena. This Australian-based worship group arose from the Youth Ministry Group at Hillsong Church in Sydney and has now set out to share their new music internationally. 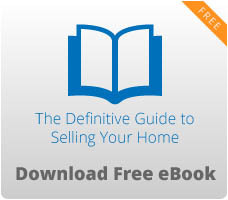 For more information call (803) 576-9053 or visit https://www.coloniallifearena.com/. July 18 – Moonlight on the Murray leaving from Saluda Shoals Park. End your day with an enjoyable sunset and moonlight canoe or kayak trip on the Lake. For more information call (803) 213-2054 or visit http://www.icrc.net/canoekayak.